Sier Photography – Wedding Photographer Sheffield: Roche Abbey Engagement Shoot – NOT!!! 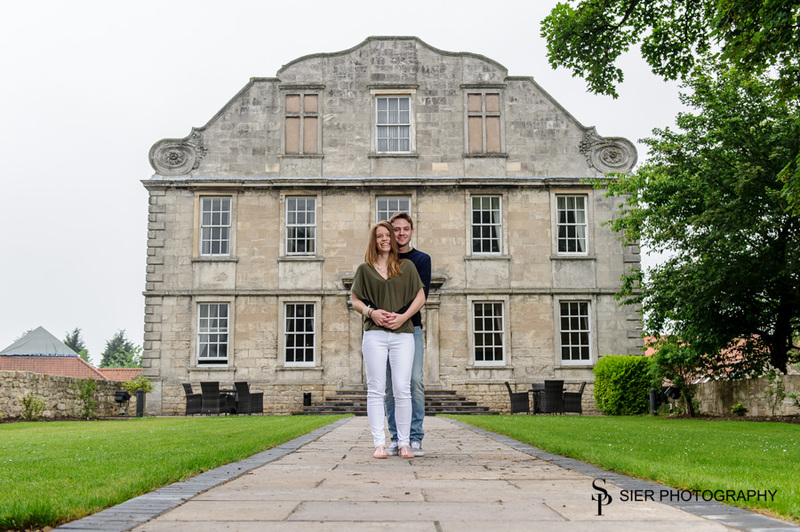 Roche Abbey Engagement Shoot – NOT!!! I’m not sure if it is because I’m British, or because my parents (and grandparents and teachers) brought me up properly but I almost always follow the rules to the letter! It doesn’t matter if it is “do not steal” or “keep off the grass” or clear-up after your pet, I try to understand the rules and boundaries, follow procedures and try to operate my life in a decent and honest way without causing trouble for anyone else. I extend follow the understanding rules and boundaries in situations like photographing at a new venue. If possible I will visit the Vicar, Priest or officiant at a new venue to see what their rules are, where I can go and where I shouldn’t go, the last thing I want to do is stray into some sacred area of a church or temple and cause upset to the Bride and Groom, congregation and the custodian of the venue, it is their place of work and their rules after all. This weekend one of our couples wanted to have their engagement shoot at Roche Abbey near Maltby. Dutifully I studied their website looking for opening times and any restrictions on photography, most venues are quite relaxed and happy for you to take pictures of a couple there as long as you don’t cause a nuisance to the rest of the visitors or turn-up with a full wedding party! The Roche Abbey website mentioned that wedding photography attracted a charge as did commercial photography. Deborah gave them a call and asked what the situation was with us, our two children and our engaged couple taking a few images there; we would use these for the couple to have in their signature mount for their wedding day. She was informed that this was classed as “commercial photography” and as such “ we would need to pay a fee of £150”! I mean £20 or £30 I could understand but 150 quid, no one in their right mind is ever going to pay that! Suffice to say we did not pay this £150 fee and did not visit Roche Abbey. In an attempt to extract another £150 from us you have lost out on £10.40 family entrance + 2 adults at another £4 each, that’s getting on for £20 plus whatever we might have spent in the cafe or gift shop. In addition I have added Roche Abbey to my “do not visit ever” list. I also have rules and I stick to them! Anyway, we went instead to Hellaby Hall Hotel where our couple will marry later in the year and had a wonderful time there, the location is magnificent and the staff could not have been more helpful we are both really excited about the Wedding, can’t wait! Will share some images from today sometime in the future, and obviously some images from the Wedding once we have delivered them.